Three Calgary officers who “made the police available for sale” have been sentenced to jail terms in a corruption case involving a woman who was stalked and harassed by them for months. Bryan Morton, 35, Brad McNish, 61, and Anthony Braile, 50, were convicted last year of corruption-related crimes. On Wednesday,Morton received a 30-month sentence and McNish got six months behind bars. Braile, who was given a significant reduction in his sentence for co-operating with police and prosecutors, will be allowed to serve his three-month sentence on weekends. Sheriffs escorted Morton and McNish into custody after Court of Queen’s Bench Justice Bryan Mahoney handed down the sentences. Crimes like these “violate the most basic trust between citizens and police,” said Mahoney in delivering his decision. The case centres around the breakup, hostile relationship and bitter custody battle between Akele Taylor and Ken Carter. Carter, a wealthy businessman, then hired an unlicensed private investigation firm run by former police officer Steve Walton and his wife. The Waltons used the services of current and former Calgary police officers, including Morton, McNish and Braile. For nearly two years, Akele Taylor was followed and harassed — a GPS tracker was placed on her car and her friends were offered money in exchange for dirt on the single mother. The surveillance was designed to intimidate Taylor, evoke a sense of powerlessness and highlight the imbalance of power between the victim and Carter, said the judge in reading from his 38-page decision. “When police sell their services for personal profit, the rule of law breaks down,” said Mahoney. Whether their shifts were two hours or 12, the men were paid $1,000 per day. The Waltons also paid the officers to search for information on internal CPS databases. Taylor testified she felt paranoid, anxious and fearful, believing the police would not help her. “This belief was reasonably held,” said Mahoney, pointing out that marked police cars were sometimes used in the surveillance and Taylor witnessed Walton speaking with an officer whom she had called to her home. Each of the defence lawyers — Jim Lutz, Pat Fagan and Paul Brunnen — proposed sentences that would involve their clients serving their time in the community. Prosecutors Leah Boyd and Julie Snowdon argued Morton should spend four years in custody. They recommended three years for Braile and 18 months for McNish. “The public puts significant trust in [officers], they have significant powers and authorities and so it’s important they not breach that trust,” said Snowdon outside the courtroom after sentencing. 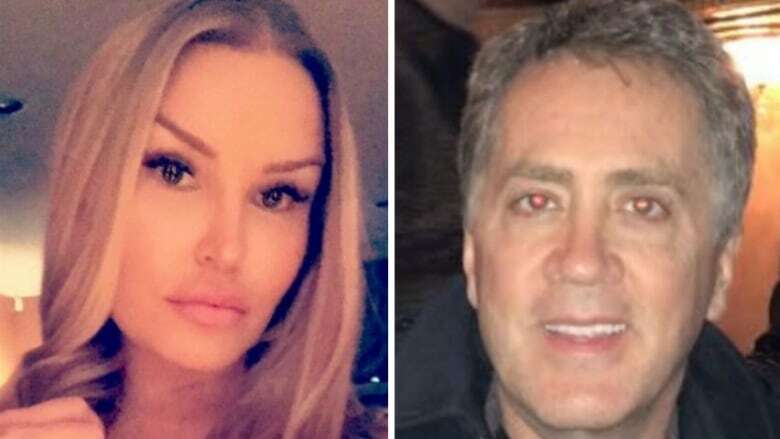 The Waltons and Ken Carter were also convicted of offences related to the harassment of Taylor and face a separate sentencing hearing, which was postponed pending Mahoney’s decision and will begin later this year.